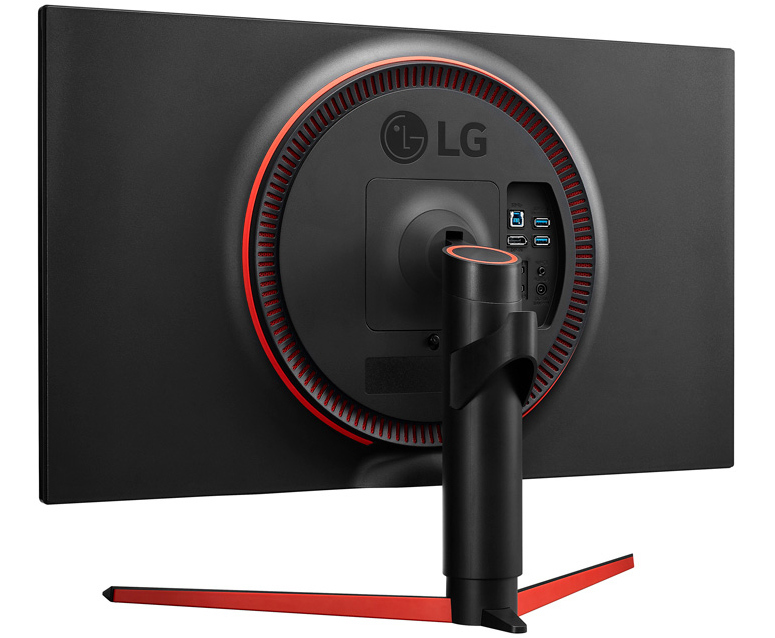 LG has greatly expanded its lineup of monitors for gamers over the past few years. The company targets mainstream and premium segments of the market, but this month it decided to offer something for “eSports” gamers who demand maximum refresh rates and the lowest possible response time to hit their enemies first. In addition to the rather extreme peak refresh rate, the monitor also supports LG’s Motion Blur Reduction technology to make fast-paced actions look sharper. 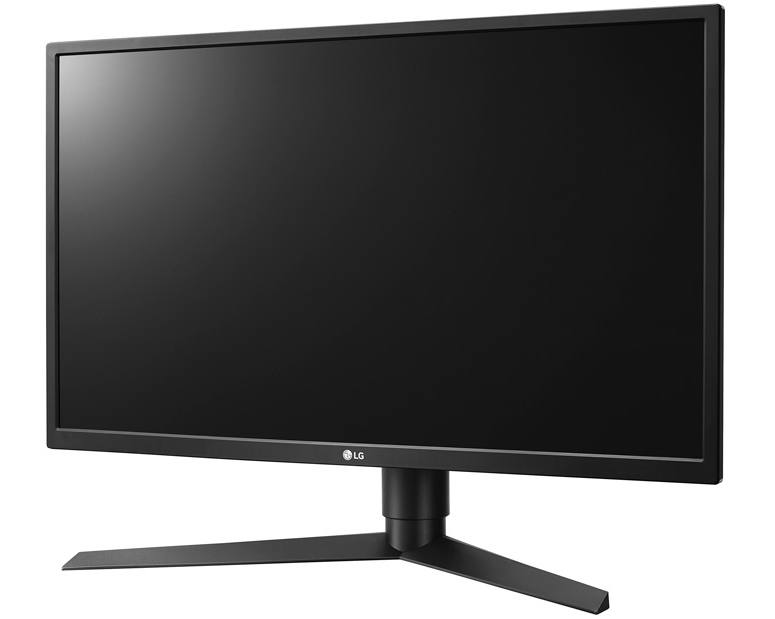 The LG 27GK750F-B is outfitted with a 27” TN panel with an FHD (1920×1080) resolution that has a refresh rate of up to 240 Hz as well as a 3H antiglare coating. The panel can display 16.7 million (8-bit) colors, has a 400 cd/m2 typical brightness (a bit higher compared to average monitors), and features 170°/160° viewing angles (which is typical of TN technology). LG claims that the native GtG response time of the panel is 2 ms, but it “shrinks” to 1 ms once backlight strobing is activated. LG calls this feature Motion Blur Reduction (MBR) and it looks like it works the same way as NVIDIA’s ULMB — by inserting a black frame after each normal one. LG’s MBR does not work with AMD’s FreeSync and naturally lowers luminance, but when you need to make things look sharper to shoot your enemies more accurately, this looks like a fair trade-off. Since the monitor was designed for gamers, it is natural that it comes with various enhancements just for this audience. 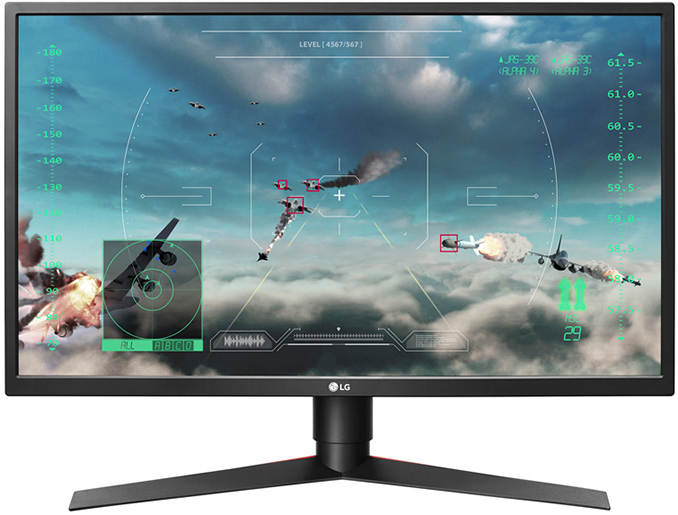 LG highlights such features as the Black Stabilizer to make dark areas lighter, the Crosshair that always displays target point in the center of the screen, and various modes tailored for FPS and RTS genres. Moving on to connectivity and ergonomics. The LG 27GK750F-B has one DisplayPort 1.2a as well as two HDMI 2.0 inputs (so, one for a high-end PC, two for game consoles). There is also a dual-port USB 3.0 integrated hub and a 3.5-mm audio jack for headphones. To make the device more comfortable to use, LG equips it with a stand that can adjust height, tilt, swivel and even lets the user have the monitor in portrait mode. The display lacks VESA mounting, although this might not be a problem for eSports players. Furthermore, since many of the latter do not really need additional bling, bells and whistles, LG decided not to equip its 27GK750F-B with customizable RGB LEDs and limited decorations to a minimum — a couple of red inlays here and there. The LG 27GK750F-B display is listed on the manufacturer’s website and is priced at $549.99. The monitor is currently unavailable from major retailers like Amazon or Newegg, but expect it to hit the shelves in the coming weeks. $550 for 1080p TN Freesync. Okay I get the argument for 240hz, and 1080p so your GPU can hit 240 FPS, and TN for the faster response times... BUT with FREESYNC... C'mon! How many pro gamers or aspiring pro gamers can even get a Vega 64, or want to over a 1080ti. Both technologies have their advantages and disadvantages. It isn't just the module that monitor makers have to install, it is an entire quality control process and nVidia has turned down manufacturers from not meeting certain standards. Some examples: all G-Sync panels must have low framerate compensation; all G-Sync panels must be calibrated to the sRGB color gamut, all G-Sync panels need to have "frequency dependent variable overdrive" (prevents ghosting). The proprietary module does add a bit of cost; but it is also following nVidia's stringent standards that make G-Sync monitors so expensive. And AMD knows it. They realized that with FreeSync they were too open with the standard and early monitors suffered because of it. As a result, they tightened their grip and now with FreeSync 2 coming out, low framerate compensation is now a requirement "and AMD certifies displays for low latency and a minimum allowed dynamic color and brightness range that’s twice as vibrant as standard sRGB displays." I would give PC World's article on the two standards a read. nVidia monitors may be more expensive but they are for more than just the module.